GMR Group, a leading infrastructure company plans to sell its Chennai technology park – Cognizant Technology Solutions for Rs.150 Cr. Leading infrastructure development company GMR Group plans to sell its Chennai technology park. The deal is supposed to be fixed at a price Rs.150 Cr (approximately $30 million). 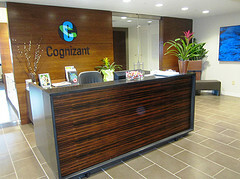 Their Chennai technology park – Cognizant Technology Solutions is located on Old Mahabalipuram Road (OMR) one of the prominent IT hubs of the city. Bangalore-based Global Tech Park and a leading chartered accountant in the South are the two strong contenders who have expressed their interest in the project. Bangalore-based Global Tech Park; though leading the race, may have to face stiff competition from the prominent CA. OMR-located GMR Varalakshmi Tech Park was entirely leased out to Cognizant Group. The total built-up area of the technology park is over 400,000- sq. 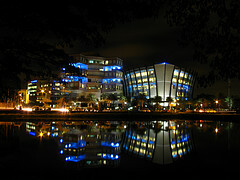 ft. One of the subsidiary firms of GMR Group own the tech park. GMR Group is an infrastructure conglomerate which has vast land banks in Bangalore, Chennai and Hyderabad. While a senior spokesperson of GMR Group refused to comment on the issue, Global Technology Park promoter Satish Chandra could not be contacted for the comment. GMR plans to sell its tech park in Chennai for a sum of Rs.150 Cr. Global investment firm and the ultra-high net worth CA are vigorously after the deal. Both of the contenders are sure of their returns in the investment. The investment in the park assures easy returns as the park is highly income generating without any involvement of risk-factor. The proposed buyers expect to gain an average returns by 12% per annum. Blackstone Group, prominent private equity firm, has invested almost $1 billion in the real estate market of India in the last three years. Indian market also saw huge investments by Xander, Mapletree and many others. These foreign investors have shown interest in Bangalore, Chennai and Gurgaon– areas where real estate grows faster. Such deals are considered as defensive in the real estate market which is said-to-be sluggish these days. This entry was posted in Real Estate News and tagged Blackstone, Chennai real estate news. Chennai, Chennai Technology Park, Cognizant Technology Solutions, Global Tech Park, GMR Group, private equity investment, Varalakshmi Tech Park by designer. Bookmark the permalink. I have NRI who ready to buy or property. Plz contact me they are ready to pay 180cr.